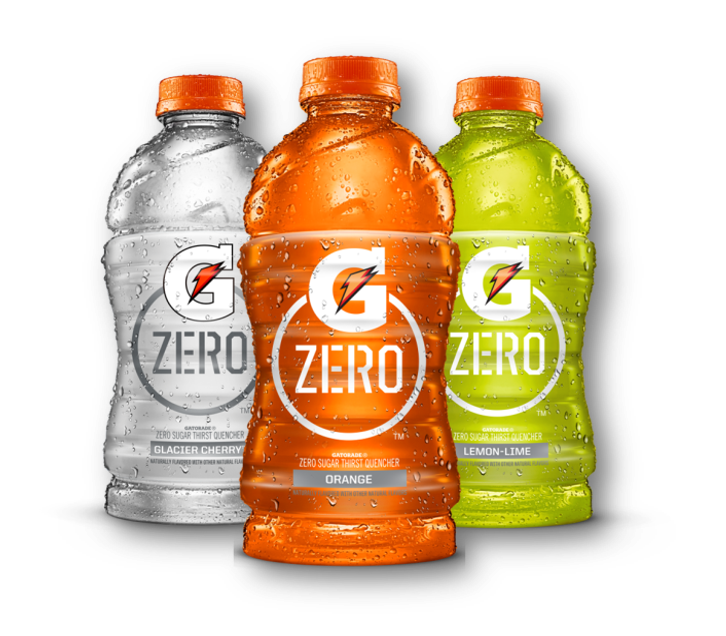 Gatorade Zero is a zero sugar sports drink with all the flavor and hydration of Gatorade Thirst Quencher for competitive athletes. Available in 28 ounce bottles, Lemon Lime, Orange and Glacier Cherry. 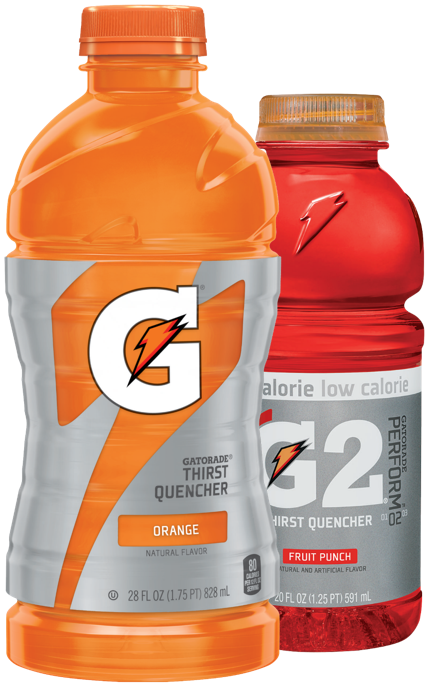 Gatorade offers a blend of carbohydrates and key electrolytes designed for use in the moment of activity to help active people hydrate, refuel and push through. Also enjoy the great taste of G2. Half the calories, all the G.
Available in 12 ounce, 20 ounce, 24 ounce, 28 ounce and 64 ounce bottle sizes. Not all flavors available in each size. 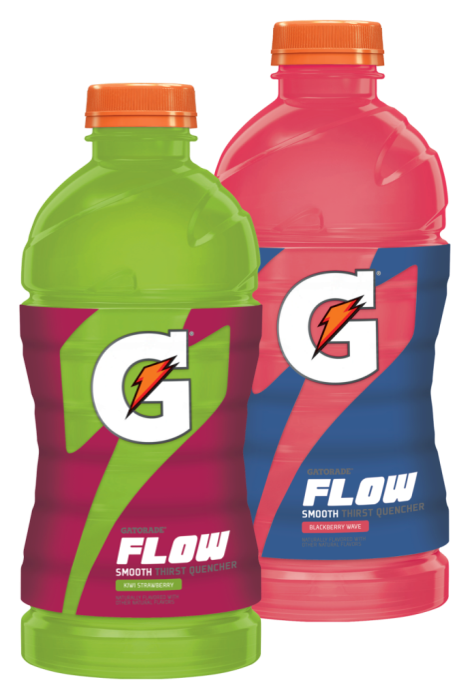 Gatorade FLOW was created to deliver GTQ performance with a rush of full flavor followed by a smooth finish that improves drinkability. Made with natural flavors, the light and translucent color has a sweet taste with no after taste, delivering all the GTQ performance benefits. Available in Kiwi Strawberry, Blackberry Wave, Pineapple Mango and Tidal Punch. Try chocolate caramel, chocolate chip or peanut butter chocolate with 20 grams of protein per 2.8oz bar. A great way to maximize what you put into your workout and to help you come back stronger. 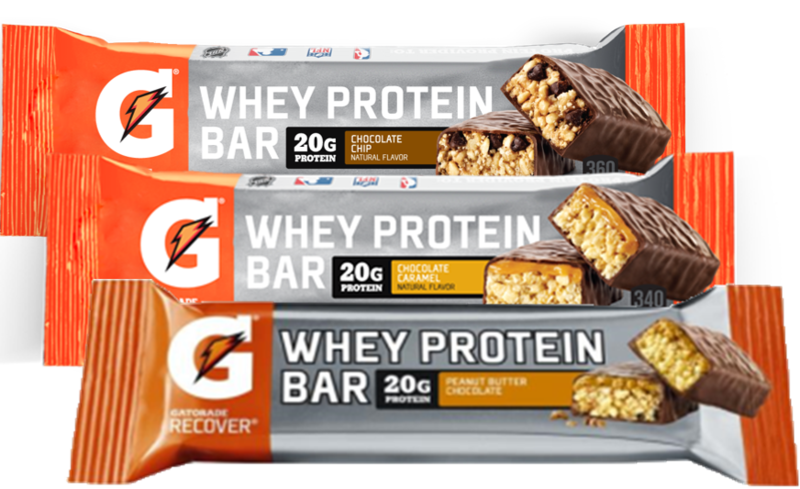 Unlike other protein bars that are chalking and have an unpleasant aftertaste, Gatorade Recovery Bars are filled with crunchy whey protein crisps and lightly coated in chocolate.